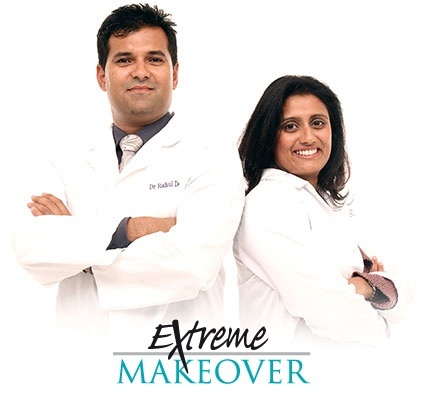 The Cosmetic Dentists from Extreme Makeover are Drs’ Rahul and Bhavna Doshi. 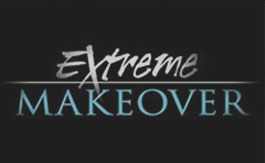 Our team were selected to work with the Extreme Makeover programme on Living TV. 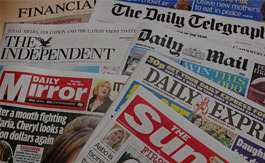 This show is a big hit on UK prime time television. The clients were chosen from 16,000 people who applied to the TV show. 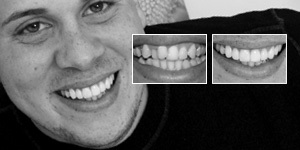 Perfect Smile Studios provided the dental care. The best from other fields including plastic surgeons, eye specialists, personal fitness trainers, fashion designers, and hair & beauty consultants worked together to produce remarkable transformations. Drs’ Rahul and Bhavna Doshi were again selected to work on seven patients on the third series of Extreme Makeover UK (on Living TV). The Team at The Perfect Smile Studios in Hertford, Hertfordshire also treated and gave a Smile Makeover to fifteen clients on the second series of the popular TV show (more than any other dental Practice in the UK!). The treatment provided has ranged from the placement of dental implants and dentures, to Smile Design using porcelain veneers, crowns and bridges and chair-side teeth whitening. We have also treated some people who have required dentistry to the whole mouth due to extensive dental problems. 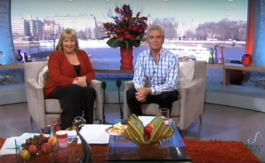 The Perfect Smile Studios were featured on ITV’s This Morning show. Margaret Tingle was selected by our Studios to receive a Smile Makeover with dental veneers and teeth whitening by the cosmetic dentist Dr Rahul Doshi, from Hertford, Hertfordshire. The TV crews spent a whole day at our Studios filming us carrying out Margaret’s dental treatment. 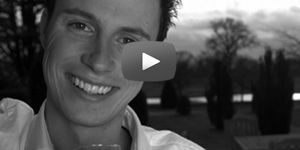 Extensive Smile Design work was undertaken to replace old discoloured crowns and failing restorations. 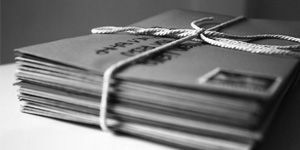 The treatment was carried out with intravenous sedation for Margaret’s added comfort. Margaret was then filmed having hair, beauty and fashion changes. Her new smile has been a significant factor in her confidence and new outlook to life! The Perfect Smile Studios were featured on the BBC Three show Britain’s Worst Teeth which followed four twenty-somethings with some of the worst teeth in Britain. Their teeth were so bad they affected every aspect of their lives. They were in pain, they were embarrassed to go out and they found eating and speaking difficult. Gemma Lundy began to loose her teeth when she was 16. Her problem is not decay. For 10 years she suffered from bulimia nervosa. This has eroded Gemma’s teeth away. Now 24 with a new baby, she has conquered her eating disorder but 80% of her tooth enamel has disappeared. She was desperate to get her teeth back but had no idea if anything could be done. Gemma was treated by cosmetic dentist, Dr Rahul Doshi, at the dental practice in Hertfordshire who placed porcelain veneers on Gemma’s upper and lower teeth to provide Gemma a Perfect Smile. Click here to see Gemma’s before and after photos. 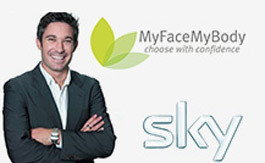 Dr. Rahul Doshi talks to SKY’s My Face My Body programme about the current trends in the cosmetic dentistry world. He discusses how dental innovations have made smile designing and creating new smile makeovers more comfortable, affordable and simpler for patients. Cosmetic dentistry houses multiple treatment options. The Perfect Smile Studios specialise in creating personalised treatment programs specifically designed to suit the individual needs.